Depending on the type of air conditioner, how much the unit is in use, and how often it is serviced, an air conditioner will last between 15 and 20 years. If your AC unit is getting on in years and you are beginning to experience regular issues, it may be time to consider installing a new system. 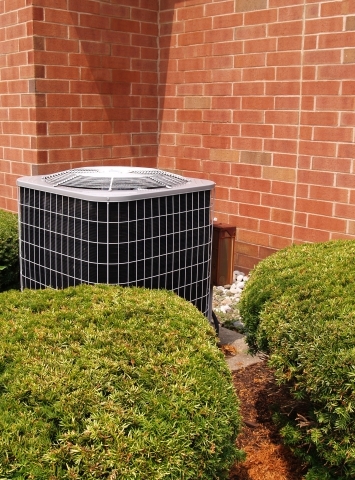 Here are a few signs your air conditioner is on the way out. The Unit is Noisy: Listen out for squeaks, which is a sign there may be an issue with the belts. If you hear a rattling noise, there may be some loose parts. Utility Bill Went Up: As air conditioners get older, they begin to function less efficiently, which causes them to work harder. When this happens, you’ll soon see higher energy bills. Poor Air Flow: While this could simply mean that a dirty filter needs to be replaced, if your AC unit is regularly serviced and is older, it’s most likely a sign that the unit needs to be replaced. Size: A bigger AC may sound like it would be better, but it can actually just cause your energy bills to go up without cooling your home faster or more efficiently. A technician at Ace Hi Plumbing will perform a load calculation to determine which size unit is just right for your home. Warranty: Because air conditioners last for so long, it’s important to purchase a unit that comes with a good warranty and is installed by a company who will stand behind their work. Contact us today to learn more about our service and installation warranties. SEER Rating: If a priority for you is having an energy-efficient AC unit, look at the SEER rating before making a purchase. The higher the SEER rating, the more efficient the unit is. A rating between 14 and 22 is considered energy-efficient; however, the U.S. Department of Energy considers a rating of 14 to be the minimum. If you believe it’s time for a new air conditioner, get in touch with the experts at Ace Hi Plumbing. Why You Should Consider an Upgrade Regardless of The Federal Tax Incentives? Advances in technology over the last 10 years mean that today’s higher efficiency HVAC equipment uses less energy, runs more quietly, and provides improved indoor air quality and comfort compared to the older models of air conditioners. And by using less energy and improved refrigerants, your new HVAC equipment is much better for the environment. Most homeowners would like to reduce their energy bills with higher efficiency HVAC equipment and these tax credits help make the initial investment more affordable. When deciding on the type of air conditioning that would suit your needs, you need to consider certain factors like the size of the room and your local weather conditions. You need expert guidance with these aspects or you could end up with an air conditioner that is inadequate for you or heavy on your pocket.